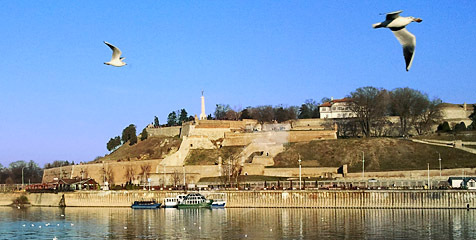 No trip to Belgrade would be complete without exploring the riverside for a taste of life in Serbia’s capital. The Sava, the longest river in the Balkans, is untamed and capricious. The large and mighty Danube is known to most. The second longest river in Europe, the Danube connects Belgrade with world seas - the North Sea, at Rotterdam, through the Rhine-Main-Danube Canal and the Black Sea, into which it flows. Nestled at the confluence of the Danube and Sava Rivers, Belgrade is ranked third among the world cities with the most beautiful location (only after Rio de Janeiro and Istanbul). 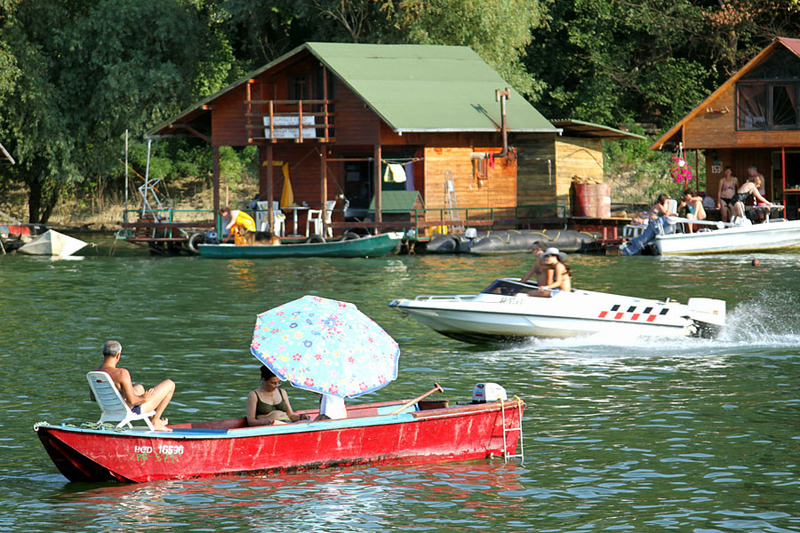 The Belgraders make the most of their rivers - in summertime over 100,000 bathers come daily to the beaches of Lake Ada Ciganlija and there will be thousands more enjoying themselves in floating cabins and boats on the Danube and Sava. On the other hand, the city planners seem not to have given riverbanks much thought, as railway tracks and warehouses stand between the rivers and the city centre and cleaning up the riverbanks does not sit very high on the city management’s “to do list”. Still, there are loads of ways to enjoy the rivers. 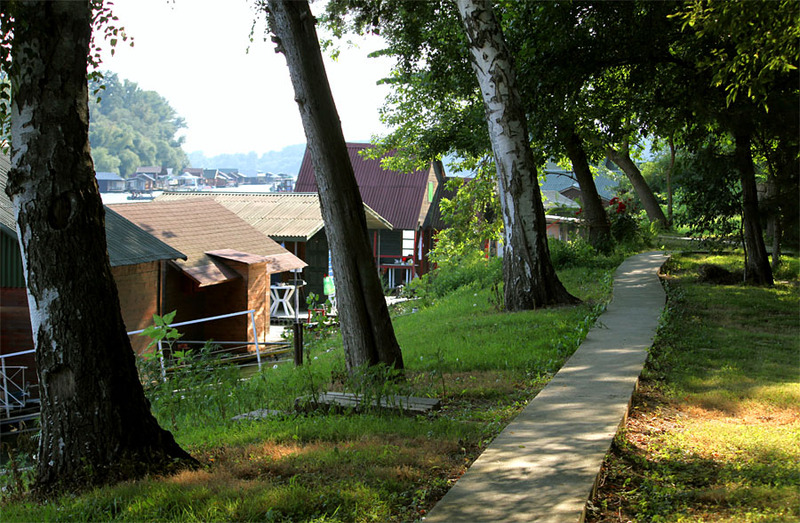 In addition to floating restaurants and clubs, Belgrade rivers feature several hundreds of floating cabins. They are typically constructed on wooden platforms buoyed by metal barrels. 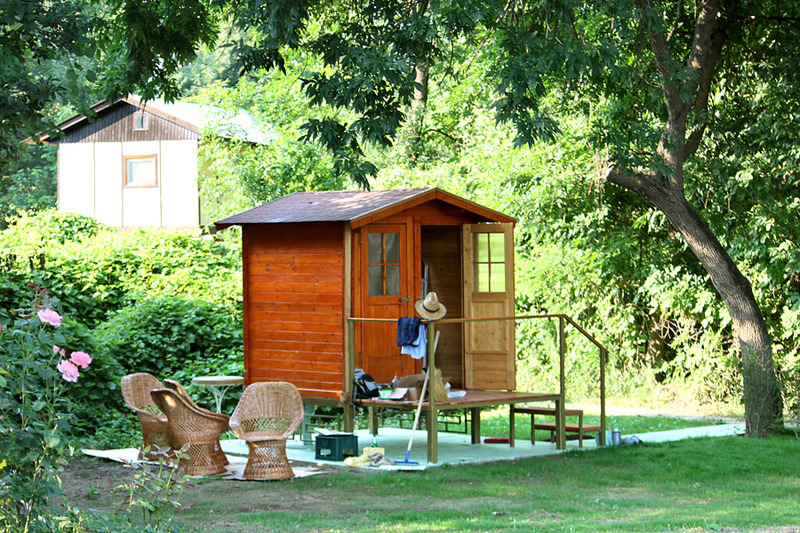 The size and design will depend on the owner’s requirements and the inclination to be seen. 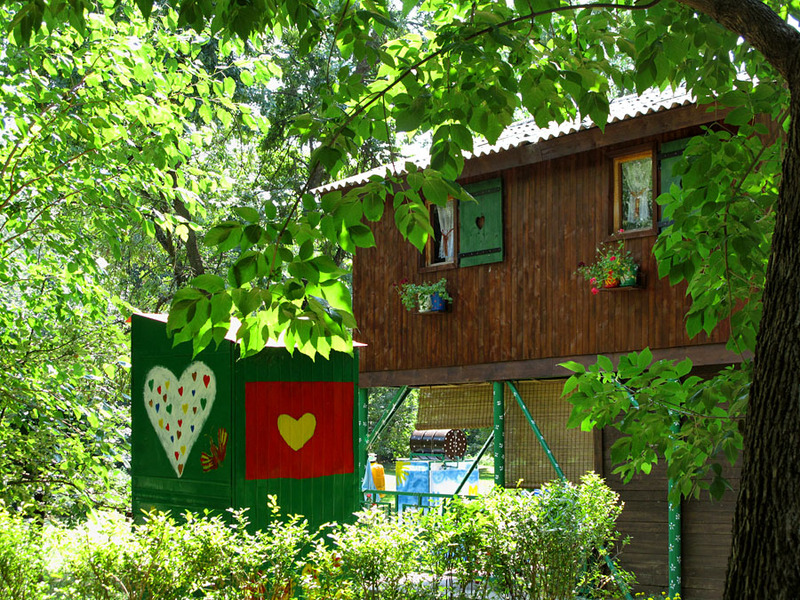 While some cabins are so teeny tiny they can barely fit a bed and a stove, some are spread over two floors boasting a size worthy of a small mansion. In summertime, plumes of smoke rise over these cabins - telltale signs of barbeque or cauldrons simmering with beans or fish soup. The drinks of choice are the white wine spritzer and beer chilled in the river. The winter largely drives away the happy cabin crews, but there are still those who will brave the cold to escape the city noise. And then, regardless of the weather, the floating cabins are always a convenient spot for a bit of dalliance. SWIMMING Belgraders are immune to the consequences of swimming in muddy rivers. The best places for wild swimming are Lido Beach on the Great War Island (in the Danube) and the lower tip of Ada Međica (in the Sava). Poor swimmers are to be discouraged from indulging in this adventure - there are no lifeguards, and rivers can be perilous (the Danube in particular). There are strong currents, numerous eddies and waves created by boats to be reckoned with. 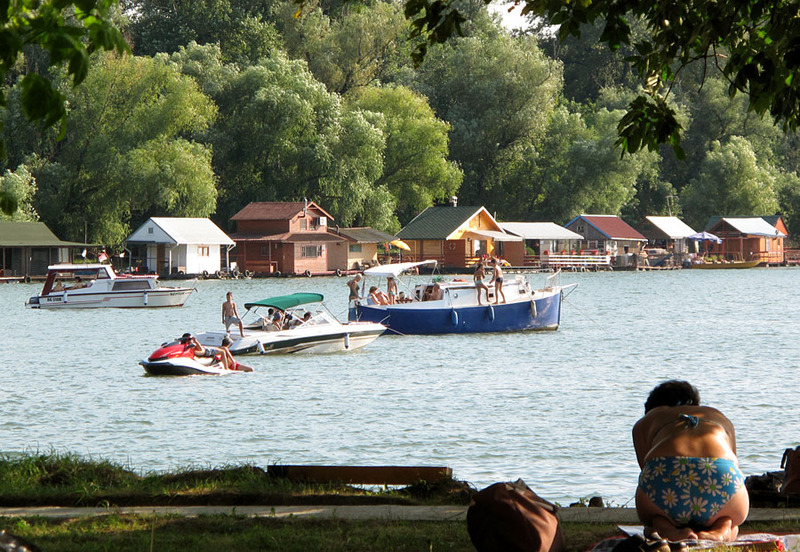 For a safe swim, it is best to go to Lake Ada Ciganlija. TIP When you go out to the river on a summer evening, it is prudent to bring a light pullover or jacket as evenings by the water can get breezy. Also bring mosquito repellent as defence against mozzies which will come in thick swarms around sunset looking for blood, attacking viciously and persistently for the next 2 or 3 hours. Yachting Club KEJ, Tel: 3165-432, www.klubkej.com. Daytime and night time cruises of various lengths and routes that may include lunch, dinner and live music. Departure from Jahting Klub Kej marina, located at the end of Ušće Street. An unexpected plus is the excellent unfiltered and unpasteurised "Zemunsko" ale brewed in their private little brewery. Istar Boat, Tel: 063-345-968. 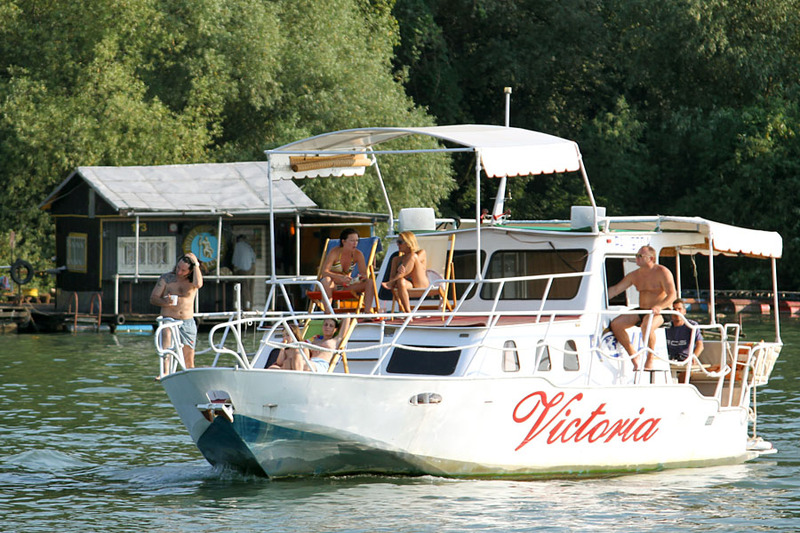 Evening cruises on the Sava and the Danube (guided tours), Boat Hire. Departure from Nautical club Zemun, Gallery Stara kapetanija (May-September). Turtle Boat, Tel: 069-3339-697, www.cruisebelgrade.com. 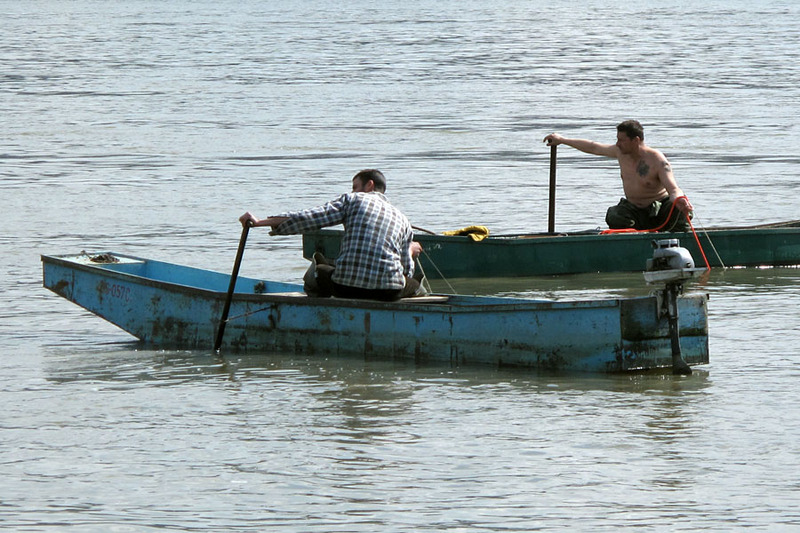 The longest Belgrade river tour. Daytime, night time and sunset cruises cruises, with guide. Departure from the cruise terminal. An island lying at the confluence of the Sava and the Danube rivers. The martial ring to its name evokes its strategic importance for either conquest or defence of the Belgrade Fortress. 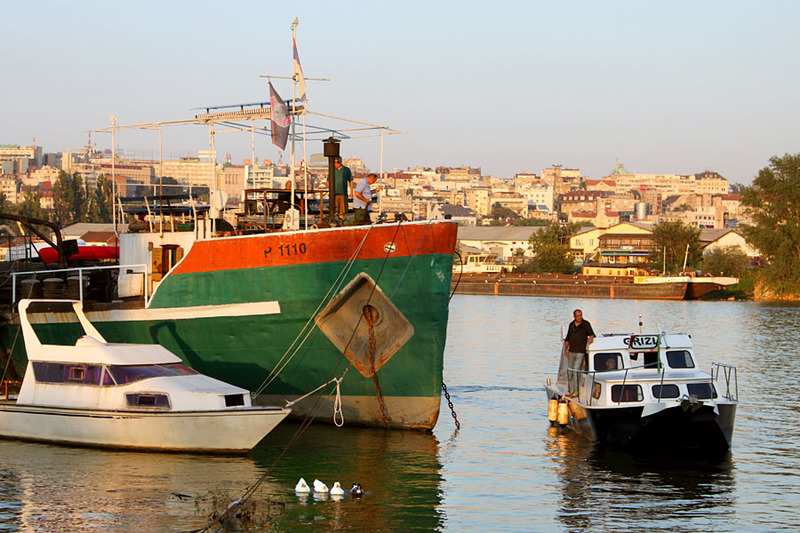 It can be reached by small light boats operating from the Zemun Quay or by crossing a pontoon bridge connecting it to the mainland in summertime. 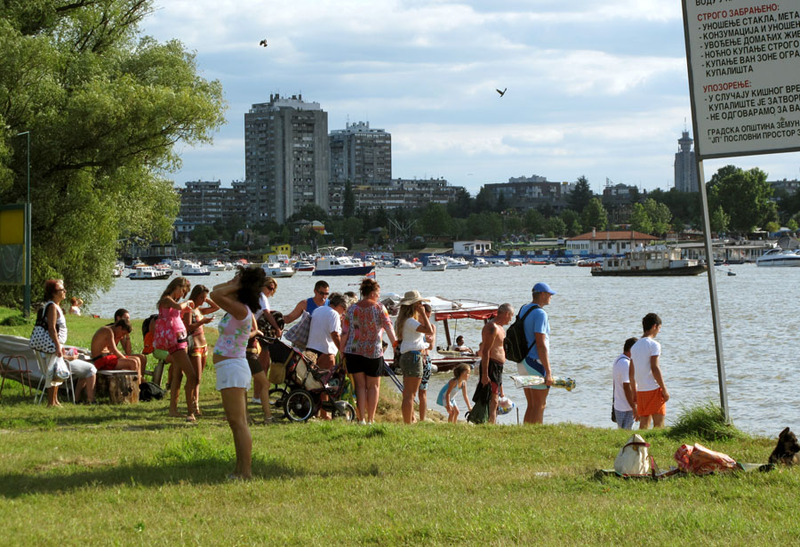 The northern tip of the island, opposite the Zemun Quay, is a sandbar - the popular Lido Beach. Although crowded in summer, the beach is not developed as the one on Ada Ciganlija, and you will have to bring with you virtually everything you need. The rest of the island is covered in forests and clearings, providing a habitat for a variety of small game and over a hundred bird species, including many endangered species. This is an ideal location for birdwatchers, who should include ample supplies of mosquito repellent in their birding kit. The island has changed shape throughout history, moulded by the Danube’s mighty currents, and its present outline dates back to 1944, when two German barges were sunk near its shores. Eventually, sediment deposition covered the barges and they became part of the island, cementing its shape. ADA MEĐICA A small island in the Sava, covered with trees. The only means of transport to and from the island is a small local boat leaving from the Sava quay in New Belgrade Block 44 (reach the quay at the end of Gandijeva Street and turn right, where you will find a smallish platform bearing inscription "Prevoz na Adu Međicu" meaning “Transport to...”). The boat leaves every 10-20 minutes but there is no fixed schedule, and you should inquire with the boatman about the time of the last boat from the island. The fare you pay is the return fare. A concrete path runs the length of the island and you can enjoy a leisurely walk among picturesque and lovingly maintained private floating cabins and stilt houses. The latter are raised on piles as a protection against flooding, seemingly floating in mid-air. There is no electricity or water, showers or public toilets, and unless you are invited by one of the cabin owners, it is convenient for short visits only. The south-eastern tip of the island is a good place for swimming in the Sava. There is a smallish quay with metal steps affording an easy access to the river (a bit slippery at the bottom). The current is quite strong here and it is not a good idea to relax and let yourself drift, with your eyes closed, because the river will gently and swiftly carry you away. You will want to bring water and a snack because hanging out by the river has a way of making you hungry. The code of conduct requires that you take all your garbage with you when you leave. After a spell of swimming, sunbathing and walking, as you wait for the boat to take you back to the mainland, you can while away the time sipping a beer in a small, basic café, perched right next to the boat platform. The island is unspoilt by modern tourism and there is the Ada Međica Fan Club - an association of citizens taking care it stays that way. ADA CIGANLIJA A big island in the Sava, Belgrade’s most popular resort and bathing & lounging location. There are embankments connecting the island to the mainland, thereby creating an artificial lake, 4.2 km long, 200m wide and 4-6m deep. Both sides of the lake are nowadays well-developed beaches lined with showers, toilets, cafés and restaurants. A part of the beach on the island side is reserved for nudists, and a part on the mainland side is reserved for masochists (those who can withstand obnoxiously loud music pouring from several disco bars at the same time). The choice of food in beach restaurants is varied, but not exactly first-rate. Some of the beach bars on the mainland side of the lake (Makiš side) are open all year round and feature live entertainment in the evening, the most popular among them being Red Shoes, Sunset and Miss Moneypenny. The bathing season on the lake usually runs from 15 June until the end of September, with lifeguards on duty from 10 am to 8 pm. There are paths for bikes and skates (available for hire) weaving through the forest, and you can go round the lake in an electric train. The island also features marked picnic spots with barbeque grills, children’s play areas, adventure playground. 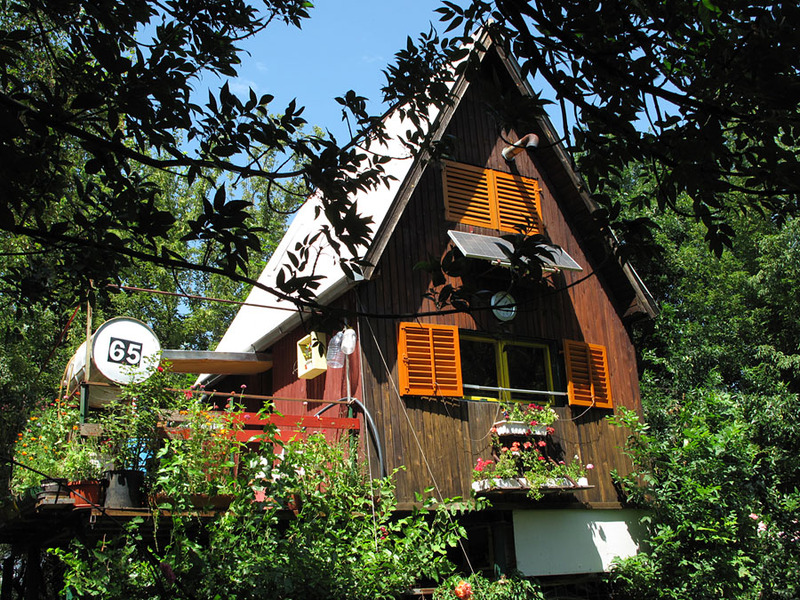 At the upper tip of the island, there is a small fishing lake brimming with carp, as well as rowing clubs located at the Sava inlet, which also features a boat marina. 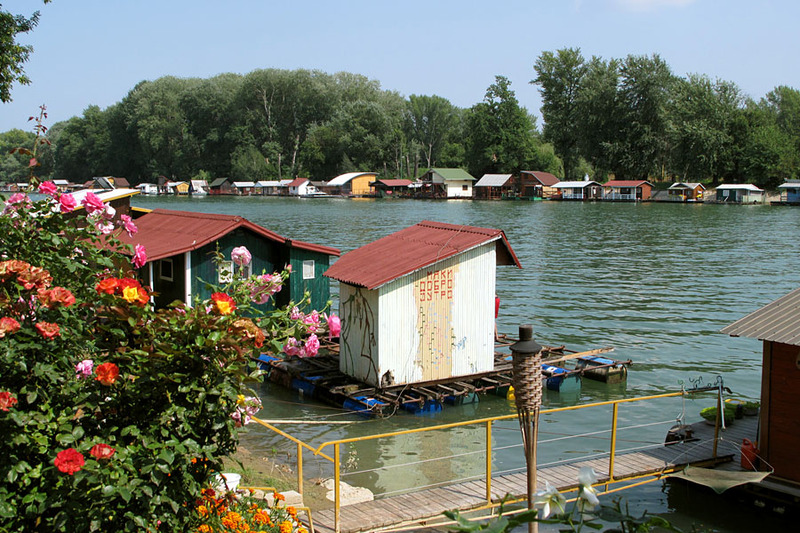 On the opposite side of the island, the bank of the Sava River is dotted with dozens of floating cabins. In wintertime, the lake freezes over, with the ice normally not thick enough to walk on, let alone skate, but the skaters will appreciate a large ice skating rink constructed near the lake. 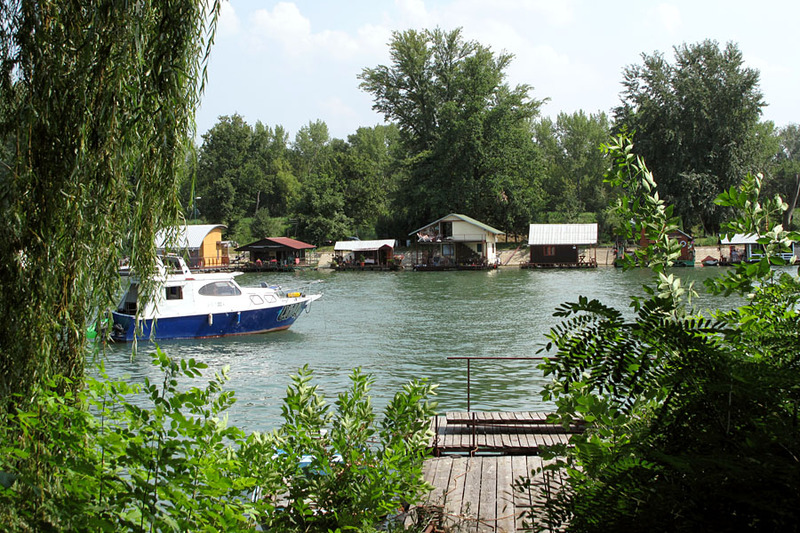 You can reach Ada by bus, car (there is a large car park at the entry to the island, charging about 2€ for all-day fare), taxi, bicycle (cycle path runs from Dorćol to Ada, along the Sava bank) and by boat. Boats operate between Ada Ciganlija and the quay in New Belgrade Blocks 44 and 70 (from 08-20 in fine weather) and the return fare is about 1€. 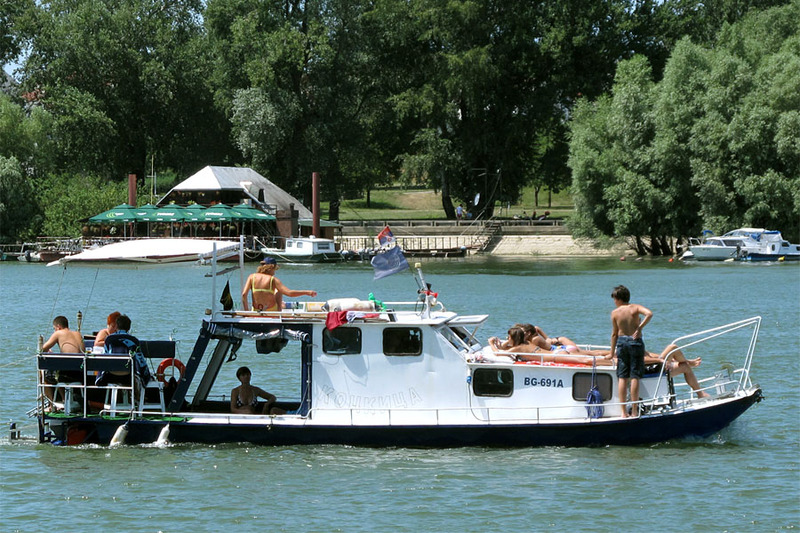 Boat transport is the best choice for those coming to Ada from New Belgrade or Zemun (bikes accepted on boats). In the evening, almost everyone starts to leave at the same time, as if by prior arrangement. The city bound bus stop is usually overcrowded at this hour and you might even have to miss several busses before you can squeeze in. Drivers may face a long queue, further exacerbated by the traffic lights at the exit with ridiculously short green light.